Amaco No. 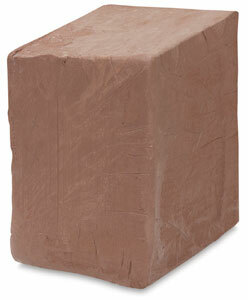 58 Warm Brown Stoneware Clay is supremely versatile, making it a great all-around classroom clay. Made from several clays chosen for their plasticity and color qualities, No. 58 has the warm brown color of reduction when fired in oxidation at Cone 7, and a terra cotta color at Cone 05. Bisque fire to Cone 04 (1971°F, 1077°C). No. 58 has a firing range of Cone 5–7 (2205°F–2295°F). The recommended glaze firing is Cone 5 (2205°F), with shrinkage of 14.2% and absorption of 3%. At Cone 7 (2295°F), shrinkage is 14.4% and absorption is 0.4%. Learn how to pair Amaco's high fire clay and glazes to get the results you are looking for.